Body Bank Confidence this hypnosis MP3 is 36 minutes long and is to be listened to at bedtime. Because it has a sleep ending it will guide you into a deep, natural sleep. This original recording focuses on instilling feelings of calm, confidence and focused control that can be activated whenever you feel stressed or unsure of yourself. It introduces ideomotor activation of these positive and beneficial feelings by simply touching your thumb and finder together…feel the confidence and calm return! Stop Procrastination this hypnosis MP3 is 24 minutes long and allows your subconscious mind to choose between drifting off into a natural deep sleep, OR awakening upon completion of the recording, whichever is most appropriate for when you are listening (choices ending). Don’t put off until tomorrow what your subconscious mind will help you get done today! This MP3 keeps you moving forward and on task. No more excuses or delays…you’ll want to accomplish what you need to right away. Confidence the subliminal way this subliminal MP3 can be listened to anytime and anywhere because all your conscious mind hears is the music while your subconscious mind listens to the positive and beneficial suggestions for boosting your confidence. Step into your own personal circle of excellence and let that inner light of self-assurance shine forth and attract others to your warmth and confidence. 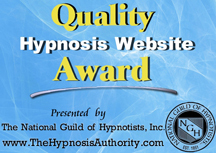 Wash away low self-esteem this hypnosis MP3 gives you a choices ending and takes you to the beach to wash away all those stressful feelings of low self-esteem allowing your subconscious mind to replace them with feelings of confidence. Live your life with joy…be positive…self-assured…and the person you know you can be! Intermix the MP3s and play them often…your subconscious mind loves the repetition and will follow through and give you the confidence you are seeking.